How Far is Doshi Nivedita? Doshi Nivedita is located at West Madha Road, Royapuram. Doshi Nivedita is the project of Doshi Housing. It spreads over the area of 42000 sq.ft. 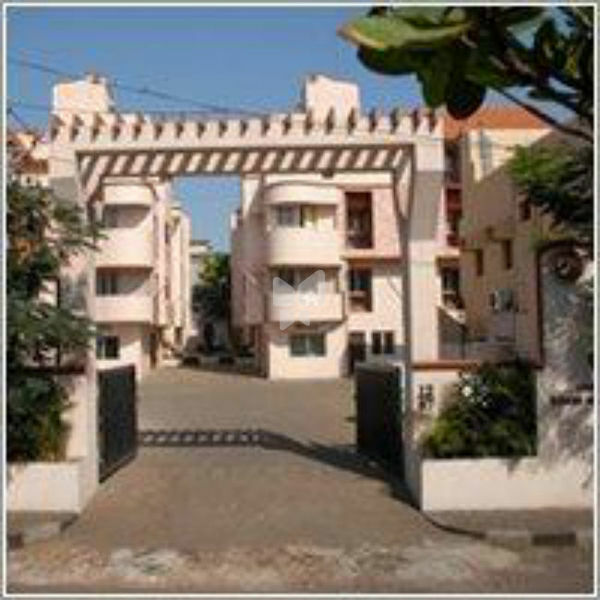 The 2 floor apartment has 72 units and offers 2BHK and 3BHK raging from 980 sq.ft.-1200 sq.ft. The project is equipped with all modern day amenities. St. Kevins Anglo Indian School, St. Annie's Industrial School, Government Unani Hospital, Perumal Temple, Madha Church, Royapuram Market are in its close proximity. Ennore High Road connects it with the entire city. Setting a benchmark in the construction domain by offering value-rich homes at affordable prices, Doshi Housing is today an established and acclaimed organization known for its transparency. In its 37-year history, it has instilled happiness in over 3100 families. And has delivered over 3.65 million sq.ft. of constructed space. Backed by a tradition of trust and a heritage of credibility, Doshi Housing with its stringent quality standards continues to build a better tomorrow and a better world. Over the years we have built a responsive people-oriented organization. Expert personnel on every front are complemented by a robust infrastructure. Our commitment is to quality, timely execution, and offering maximum value to the customer. We have a proud track record of constructing all our buildings strictly as per law and obtaining a completion certificate from CMDA (Chennai Metropolitan Development Authority), which only a few builders have been able to achieve. Doshi hosing has many projects which are loved by occupants one of them is Doshi Serene County at Medavakkam Chennai which consists of 2,3,4 BHK Villas and 3BHK apartment choice is yours. you can choose either a villa or a flat, everything Standing on your dream home. Aesthetically designed, not too far and not too expensive all the facilities are in the vicinity. One more is Doshi Well Spring which is also situated at Medavakkam Chennai, which has 2BHK and 3BHK flats with best in class amenities.in addition to this Doshi Risington is there at OMR, Doshi Firstnest at Chromepet which offers 2 & 3BHK flats for sale and the list goes on. Projects Delivered – Over 3.65 Million Sq. Ft.
Doshi Housing caters to both the residential and commercial segments. The projects are diverse in size, design, and concept, showcasing Doshi’s tremendous versatility. Premium projects to entry-level projects, mass housing to exclusive residences, a heart of the city to upcoming location Doshi Housing has done it all with élan and integrity. Not surprisingly, over the years many of these buildings have become landmarks in the city. Understanding the complexities of investing in a home, all their efforts are directed towards making the transaction easier and more secure for the customer. Investing with Doshi gives a sense of comfort to the customer that can only come from the knowledge that Doshi Housing is dependable. Customers are sure there will be no compromise on location, planning, execution, and delivery. A feature that’s not easy to deliver, it takes integrity, transparency, and commitment to deliver it, project after project, for over 37-year. It’s called peace of mind. Made possible by delivering projects with clear titles and executed with strict adherence to local building regulations. That’s what our customers come to us for and we never let them down. The management of Doshi Housing understands that the company owes its success to the trust and faith that consumers have reposed in it and recognizes that the company must continue to earn this trust. We continue to deal honestly with each of our customers thus earning their immense respect. Our vision is to create the ideal environment for people to live, to work, to grow, to thrive and to prosper for generations to come and help build a better world.